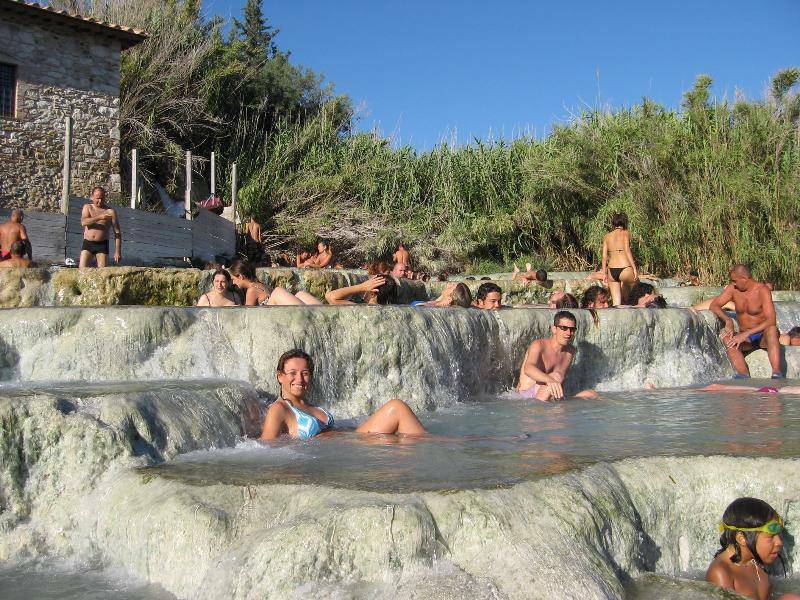 The baths of Saturnia and its sulfur springs flow from underground at the rate of 800 liters per second at a temperature of 37 degrees Celsius. 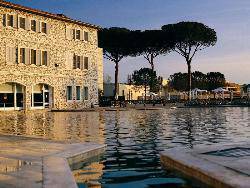 These were also well know at the time of the Etruscan Empire as “miraculous” healing waters. Much later starting from about 280 b.c., it was the Romans who took benefit of these natural water resources. They were the first to create houses for these baths and take advantage of their therapeuatic qualities. In the Middle Ages, many legends were born about this place and its strange smelling waters. The steam rising, the heat contained within and the sulphurous odors gave way to stories about it being one of the exits from hell for the devil. It became a place where cursed waters ran into boiling wells which gave off a satanic and eery stench. 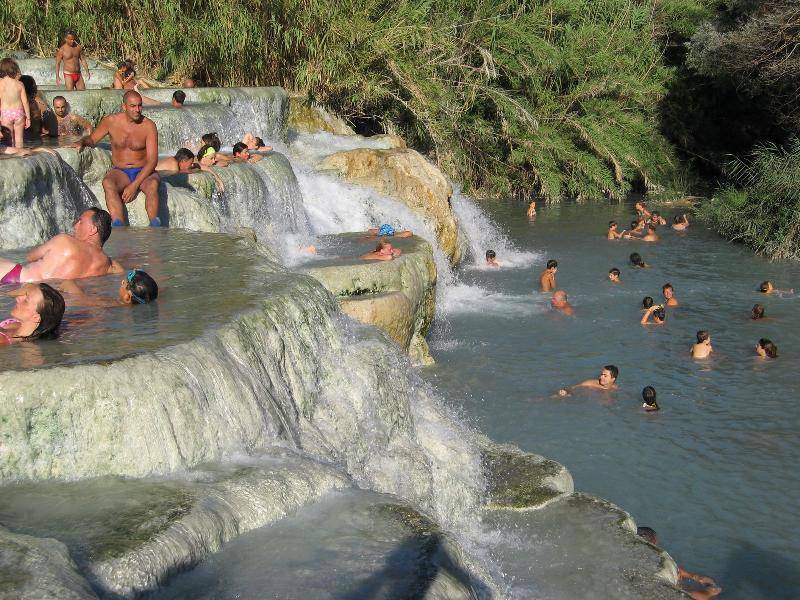 Today the Saturnia baths are known all over the world. The first attempt at some type of restructural organization, however, didn't happen until 1865. 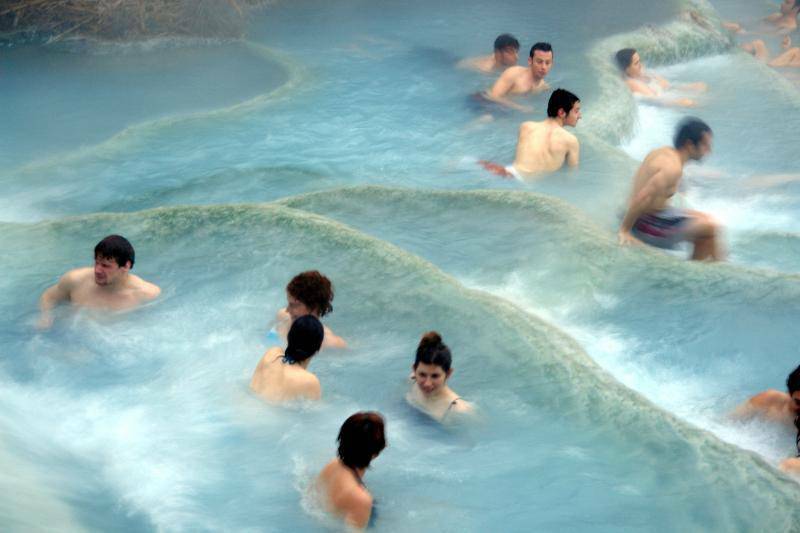 Chemically, the Saturnia Springs are composed of homeothermic mineral water with sulphurous carbonic, zolfo-bicarbonate-earth alkaline elements. It is peculiar to find two liquid gases, both hydrogen sulfate and carbonic andride being present. This compostion makes for an especially healthy treatment for the respiratory and skeletal system. 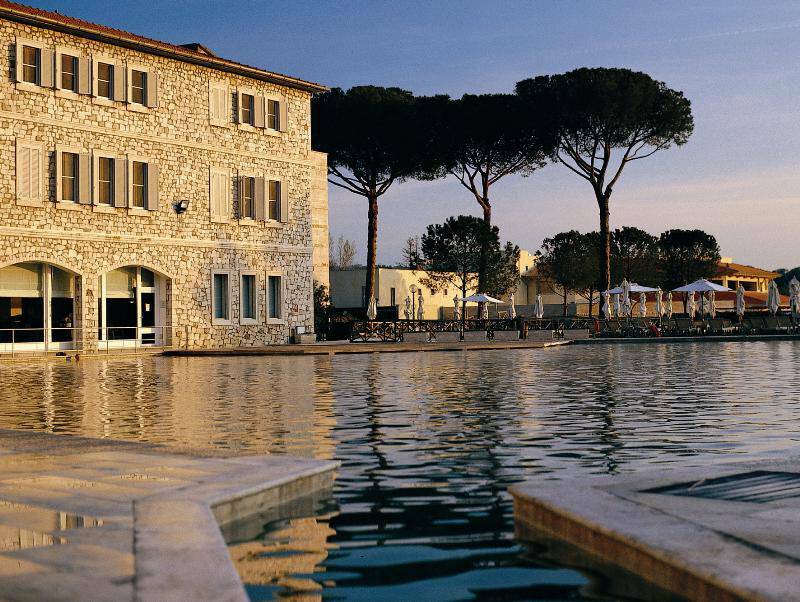 The Saturnia Springs have been made into an enchanting health center surrounded by an age old park. It is a place that is able to satisfy the needs of its ever demanding customers, thanks to a multiform structure and an intelligent staff. 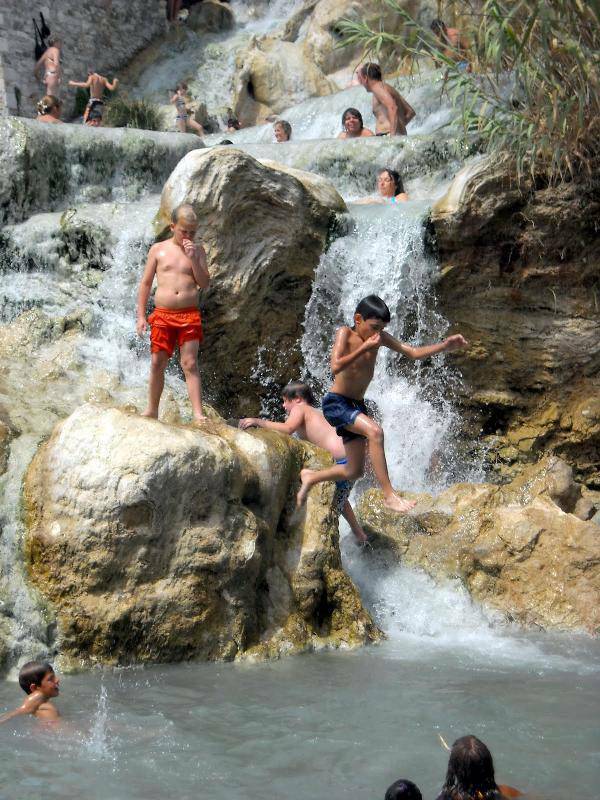 An alternative to the springs could be the Waterfalls of Mulino at only 2km away fromSaturnia. These Springs come from a vulcanic crater which is the water supply for the swimming pool. There is a small natural brook that runs for 500 metres and falls creating a cascade through an old mill wheel and forms a series of small pools into the rockside that have been worn in over time.